On the Eve of Independence day. The planning of bike ride had taken a very good progress. Actually it was my first bike ride of my life but as a pillion. 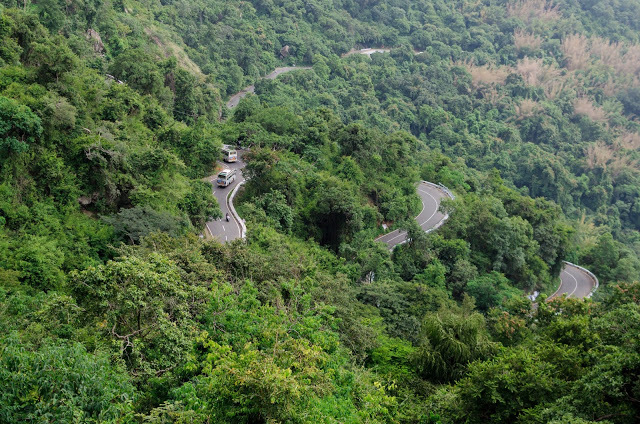 Since it was one day ride we had decided to visit Gaganachukkki and Barachukki falls and Talakad. The map was clear to us since it was 300 km to plus fro! But as always initially we struggled for the exact road. Planned to start at 5 AM but we managed to start before 6AM. While going we choose mysore road and took kankapura high way while coming back. Mysore road as we all know traffic also wondered whether “Road main gadda hain or Gadda main Road hain”!!. We stopped at bidadi for breakfast, we were served bidadi special tatte idli with butter vow vow. Resuming our journey very soon as we had not reached planned distance for time taken. After maddur we had to take a left diversion for shivanasamudra. After a diversion there was a good greenery around with atmosphere was very pleasant. Reached shvanasamudra paused for some time. Later went to Barachukki falls. The magical scene of river Cauvery made us to feel a worth visit. We had some trouble to carry our riding gears. But we had to manage all those. At Barachukki we had to descend around 150 – 200 steps to reach the falls in the midst of woods. After reaching the base area, one has to be careful as our pre – historic friends will be waiting to pounce on your bag. Then, we went on a coracle boat (teppa) ride on the pool of water in front of the waterfall. The boat charges are something like 50rs per head for a 20 minutes ride. it was most startling experience could feel the force of the water and scary though none of knew how to swim. We rested in piece for some time in the banks of falls. Resumed our journey to Gaganachukki falls. The speciality of these falls is due to the Kaveri river itself splitting a few kilometers to the south into western and eastern branches. The western branch results in the twin waterfalls of Gaganachukki, whereas the eastern branch results in the Bharachukki falls. The sparkling blue waters of the Cauvery River wind through rocks and ravines and fall 75m off the Deccan Plateau to form the twin falls of Barachukki and Gaganachukki. Monsoon season makes this waterfall swell to enormous proportion, creating a waterfall perhaps a thousand feet wide. When the Cauvery is in madness, watching the river crash into a cloud of foaming spray can be an awesome and unforgetful experience. Gaganachukki especially is a steep fall where water gushes down with great velocity. Actually, it is believed to host first hydroelectric project in India. The next destination was to “Buried Beauty” The Talakadu (Talakad). It is the classical Indian story. A tale told by gods and demons, filled with kings and queens, replete with curses and boons. There is a little bit of history here, blended with some geology and topped with legends and myths. Set on the banks of the river Cauvery, this saga dates back to the 4th century and has certain intriguing elements, defying the very laws of nature. 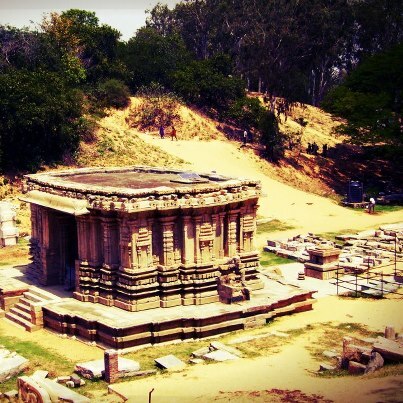 Talakadu is famous for the Panchalingas – the temples dedicated to Lord Shiva called Pathaleshwara, Maruleshwara, Arkeshwara, Vaidyanatheeshwara and Mallikarjuna .Of these, the first two are the oldest, built by the Ganga kings. We paused to give our feet a bit of rest and heard the story of Tala and Kada, the two hunters, after whom the town is named as per guide information. The detailed stories is interesting but I don’t want to reveal because there should be curiousity once anybody will visit. We had walked for more than a hour, deeply engrossed in the continuous banter of our guide. Our feet caved in many a time, as we scaled the steep sand dunes. In the last two hours, we had traveled back to several centuries. We paused for a moment, taking in the sight. The silence was devastating. The voices of the past were buried under the layers of sand. We sat there, trying to build castles, but the wings gently swept them down. This, we realized was the destiny of Talakadu -the confluence of the historic and the holy spirit, where myths and legends merged, but were all completely swept away by the blasts from the past. Now coming back from history to real world, it was 3.30PM we had our lunch than we went to history. The fervor to say about the history I had forgotten about our lunch!!. Starting our journey towards kaveri river which is point of tourist attraction, nowadays crowded as it is a low water level. As planed while coming back we too highway which was very neat and less traffic had to fight closely with rain other than it was easy ride and we reached back home by 8.30pm.